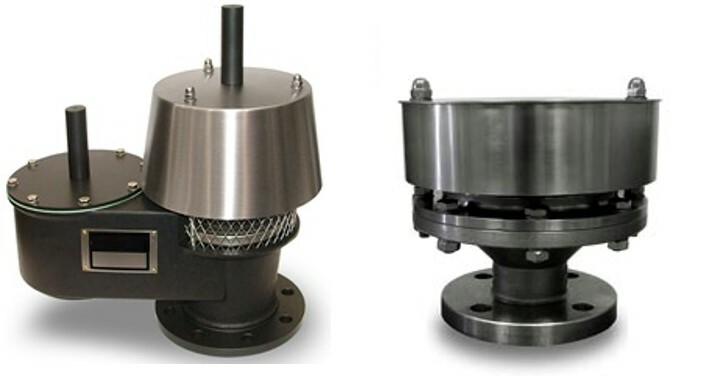 Elfab’s latest generation of flame arresters offer a new and patented construction concept for both deflagration-proof and detonation-proof designs. The new concept contributes to better performance, easier maintenance (for 100% cleanliness), and easy assembling and disassembling without any risk of damage to the parts. The breather valves comprise a new valve philosophy with their modular design construction resulting in an increased number of configurations to fit various valve sizes reducing costs associated with oversizing and quantity of valves needed to fulfil the application requirements. The design offers better access to internal parts for improved maintenance, while the improved construction results in less spare parts needed. Additional advantages can be achieved with the combination of Elfab’s breather valves with its new generation of flame arresters. Both are fully approved and tested to the highest possible standards.